The introduction of LED landscape lighting and its use in outdoor lighting has taken the concept of landscape lighting to a whole new level. 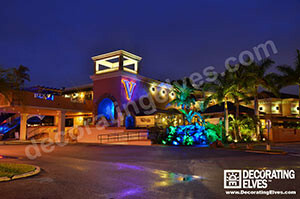 These specially made LED fixtures can be used almost anywhere and for any type of outdoor lighting solution. LED landscape lighting offers a safe and reliable low energy lighting solution to conventional low voltage halogen lighting. 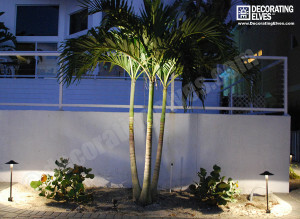 Conventional landscape lighting is plagued by high temperatures, voltage drop and lamp burnout. LED landscape lighting offers field proven, economical, and eco-friendly lighting products that are the most technologically advanced in the industry. All photos on this page use all LED lighting fixtures, bulbs, and/or luminaires. It is a true representation of the effect of LED lighting. LED service life span can go up to 60,000 hours and even more. With LED one can control the intensity of the light and hence create the desired effect and mood in the landscape. LED are popular because they are of small size can be made to work with various fixture requirements. Compact and unique fixture designs. LED lights are very energy-efficient and can reduce your energy costs—particularly when the lights are used for long periods of time, such as in commercial settings. LED lights use a solid-state semiconductor to convert electricity directly into light. LED lights use less than one-tenth of a watt, produce virtually no heat and have an extremely long service life — up to 60,000 hours in some cases. They do cost slightly more than conventional lights, but may more than pay for themselves within a single season. 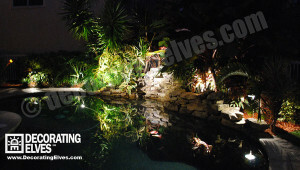 Tampa Bay Landscape Lighting offers many benefits to commercial and residential lighting projects with the use of LED’s.